As always happens between rival states, the desire for political and economic supremacy gave rise to wars, though these were interspersed with long periods of peace. From the scant arithmetic of the Russian chronicles and histories, it is evident that the western neighbours, the Russian principalities and Novgorod, were the more aggressive, launching over thirty military campaigns against Volga Bolgaria and Kazan city, while the latter responded with only seven. It is therefore no wonder that in 1526 the Austrian ambassador S. Gerberstein summed up his impressions of the Kazan Khanate with these words: "These Tatars are more cultured than others, for they work their fields, live in houses, engage in many sorts of trade, and they rarely fight...". The confrontation of Moscow city and Kazan city states, equal in strength and influence, continued until 1552, when the troops of Ivan IV the Terrible, having broken the "eternal peace treaty" concluded with Kazan city by Grand Prince Ivan III of Muscovy, overcame Kazan city after a long siege and destroyed the state. Following the capture of Kazan city, the surviving citizens were driven out and forced to live in the surrounding villages. Because of the decline in Kazan city economy after the expulsion of the Tatar merchants, the new rulers had to allow some of them to live nearby, in the place where the Old Tatar Settlement grew up, but they were still forbidden to live and trade within the Kazan city. 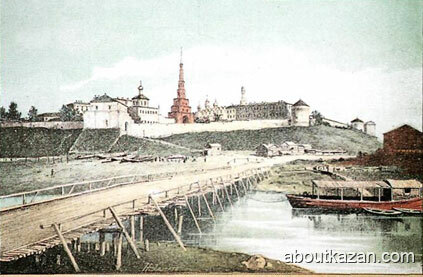 In the fourth decade of the seventeenth century, almost a century after the conquest of Kazan city, the traveler Adam Olearyi recorded that the Kazan Kremlin was "occupied only by Russians, and not a single Tatar could live there, under penalty of death". Nothing was left of Tatar architecture in Kazan city except the Suyumbika Tower, which survived by some miracle. 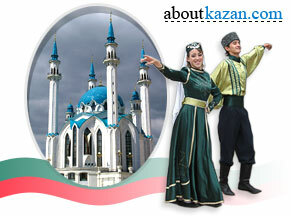 The events that overwhelmed Kazan city changed its appearance, but not the soul or the memory of the Tatar people.